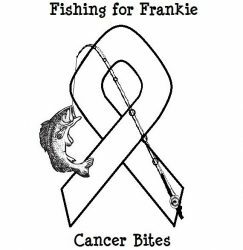 The 9th Annual Memorial Bass Fishing Tournament in 2017 was held to raise money for 29- year-old Meghan Schexnayder who is battling cancer for the third time. Meghan is the daughter of Todd Schexnayder and Angie Lirette Schexnayder.At the age of 24, Meghan was diagnosed with osteosarcoma in her left leg and hip with metastatic spread to her lungs. She underwent grueling chemotherapy which kept her hospitalized for a year and a half. She had a total knee/femur/hip replacement surgery and thoracotomy (lung surgery). She was cancer free for 9 months until another lung relapsed, which called for a second lung surgery. In October 2016, another lesion was detected in her lungs and also in a bone in her arm. Proceeds from this year’s tournament will help defray the cost of Meghan’s ongoing cancer treatment, medications, and surgeries.